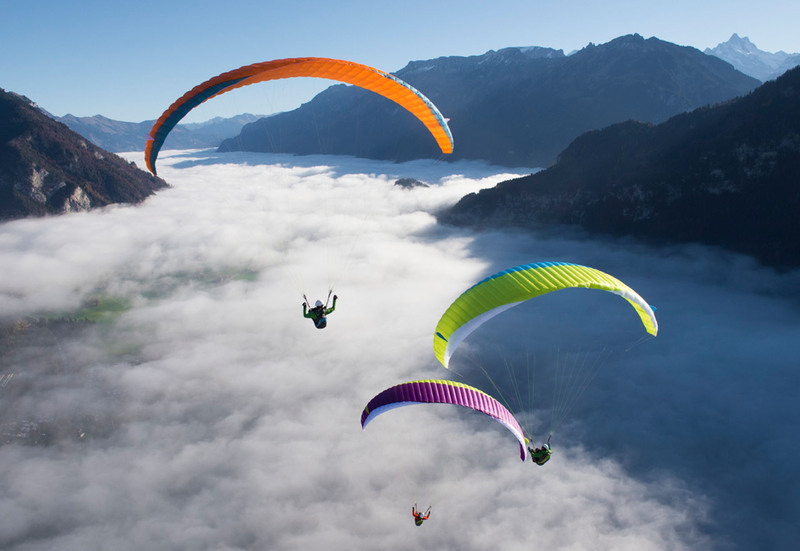 The ALPHA 6 is the perfect paraglider for first flights, learning more, and occasional flying. As a beginner, you can trust this wing 100%. The ALPHA model is the well-tried classic for first flights, and after basic training offers many possibilities of exploring further afield. This 6th generation of the ALPHA series is modern in concept, founded on many years’ experience, and promises reliability and durability. A revised ALPHA 6 line concept leaves the wing with visibly fewer suspension points and fewer lines - easy to sort and easy to see. After a simple takeoff your ALPHA 6 is in the air. The ALPHA 6 is also light – thanks to carefully designed internal structure and high quality materials. Modern Advanced Air Inlet Technology brings flying safety and wing stability. The typical ADVANCE combination of semi-circular intakes with an Air Scoop provides higher pressure in the wing at high angles of attack. This results in progressive brake loading and minimises any tendency to spin when turning. This means more passive safety. Modern design ensures that the fun continues long after your training with your ALPHA 6. Double 3D shaping around the leading edge creates a smooth upper wing surface, giving you better performance. The spartan line concept with its sophisticated diagonal ribs inside further raises gliding performance - noticeably high for the A classification.